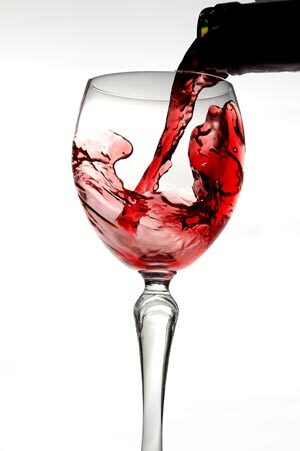 Drinking in Moderation Eases Fibromyalgia Winding down with a glass of wine could ease fibromyalgia symptoms. In a new study, patients with fibromyalgia who drank alcohol in moderation had fewer symptoms and a better quality of life than nondrinkers. Mayo Clinic researchers believe alcohol could reduce symptoms of fibromyalgia syndrome (FMS) by increasing a neurotransmitter in the brain known as GABA. However they also pointed out that nondrinkers as a group may have more severe fibromyalgia and could be avoiding alcohol if they are using opioid painkillers. The study, published in the journal Arthritis Research & Therapy, included 946 patients enrolled in the Mayo’s Fibromyalgia Treatment Program. The patients completed a number of tests to assess their fibromyalgia symptoms, quality of life, and overall health. They were also asked to report how frequently they consumed alcohol. People drinking low to moderate amounts of alcohol (3-7 drinks a week) had higher physical function and quality of life scores, less fibromyalgia symptoms, and less pain than nondrinkers. This association held after adjusting for BMI and social variables. Heavy drinkers ( more than 7 drinks a week) did not experience the same benefits. The researchers explained that people with fibromyalgia tend to have lower amounts of GABA in their brain. GABA is an inhibitory transmitter, and not having enough of it may cause the nervous system to react in a way that amplifies pain. It’s possible that alcohol binds to the GABA receptor in the central nervous system to reduce the transmission of pain. “However the effects of alcohol may also be due to improved mood, socialization and tension, and while moderate drinkers have fewer symptoms there are still many questions about how this happens,” stated researcher Dr. Terry H. Oh in a press release. The authors cautioned against FMS patients increasing their consumption of alcohol since more research is needed. If you’re not looking to up your alcohol intake anytime soon, patients with fibromyalgia can benefit from natural treatments like chiropractic care. Kim C, et al. Association between alcohol consumption and symptom severity and quality of life in patients with fibromyalgia. Arthritis Research & Therapy 2013; 15 (R42). doi:10.1186/ar4200.